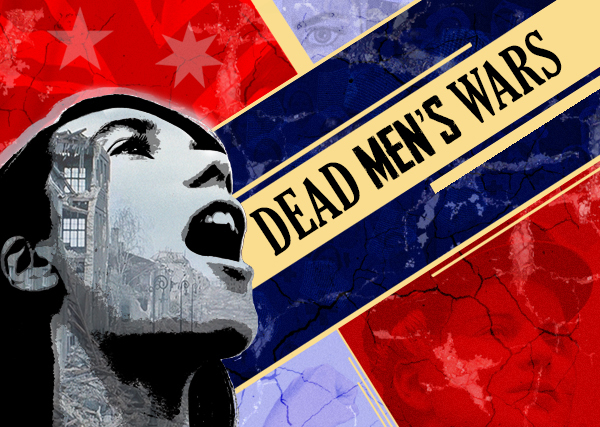 Like another co-production a century ago, Dead Men’s Wars brings together young Aussies and young Kiwis in a courageous venture. Yet that is where the similarity ends. First, this is a play about Gallipoli rather than an invasion of an unfriendly shore, secondly, women play a key role and, thirdly, the show only lasts an hour rather than eight months. Finally, this iteration of the Anzac story is definitely not a case of ‘ours not to reason why’. Dead Men’s Wars is ostensibly about school students visiting Gallipoli in the care of a tour company. One, Lori, makes a speech which exceeds the parameters of acceptable Anzackery (sentimental, unquestioning reverence for the Anzac legend). The rest of the play is basically about how Lori and the tour company and, via social media, the community at home come to terms with what has been said. The story moves from Gallipoli, back to a visit to the Australian War Memorial, then to the plane en route to Turkey, then back to Gallipoli. The action takes place on a stage with minimal clutter (scaffolding in the rear and mini stages from which the cast deliver key dialogue). Early in the piece many sheets of paper are scattered across the stage, presumably representing the mass of material produced on both sides of the Ditch since 1915 to build up the received view of the Dardanelles campaign. From Honest History’s point of view, most of the ‘messages’ of Dead Men’s Wars are right on point and most encouraging. If one of the aims of Anzac centenary commemoration, as of educational efforts in military history generally, has been to inculcate in our youth a jingoistic, unquestioning view of war, then this production shows the effort has a long way to go. These members of Generations Y and Z – the actors are in their teens and early 20s and the playwright is 28 – have not been recruited to the Anzackery cause. That is a good thing. The script deals intelligently (but definitely not uncritically) with the Anzac clichés of ‘mateship’, ‘the birth of a nation’, ‘they died for us’, ‘values’, and war memorials as ‘sacred places’, recognising the validity of these concepts for some of us but provoking all of us to think about them also. Occasionally, the skewer goes deeper with a telling parody of an Australian War Memorial ‘sound and light show’ – which commences just in time to curtail a discussion about deeper meanings (a very apt metaphor for the way the Memorial does its job), the idea that nations’ characters are represented by their birds (raucous kookaburra and self-effacing kiwi) and some telling lines about ‘poppy-tinted’ glasses and making soldiers into gods while leaving no room for any other parts of the story, particularly the role of women. The play’s theme of censorship and how the Anzackers try to control the message – there is a reference to ‘toeing the line’ – will be familiar to anyone who has stuck their head above the Anzac centenary parapet to put an alternative view, though there are signs that the sheer relentless ubiquity and simplistic nature of the received view is turning people off, certainly on the Canberra side of the Tasman. Rather than commemoration fatigue, though, we need vigorous questioning. The play’s director, Brett Adam, asks ‘Are respect and questioning mutually exclusive?’ Of course, they are not. As Generation Y journalist, Kate Aubusson (Lest We Forget What?) said to a conference in Sydney last month, ‘We don’t have the minds of rabbits; we can hold more than one thought at a time’. Anzackery’s urge to suppress the instinct to question is one of its most objectionable characteristics. Among the cast of Dead Men’s Wars, the principals were strong, particularly Bella Guarerra, feisty but polished as Lori, and the other women, Nathalie Morris (Charlie) and Lydia Buckley-Gorman (Helen). The male roles were perhaps more difficult to nail but Richard Cotta (Kip), Liam Kelly (Owen) and Andrew Eddey (Darren) came through with flying colours. The ensemble moved and danced vigorously and there were some strong voices delivering important and witty lines depicting the hashtag fury provoked first by Lori’s speech, then by the tour company’s response. There were no obvious glitches in the production on this first night, reflecting ‘a mammoth rehearsal process’ on both sides of the Tasman. One or two of the movement sequences could have been tighter and young voices occasionally failed to carry. But the difficult bits, like simultaneous speeches and overlapping dialogue, as in the hashtag interludes, were done really well. It’s a shame that the initial run is only for eight nights, four in Canberra, four in Wellington. Attending the Canberra ‘world premiere’ of Dead Men’s Wars was ACT Senator Katy Gallagher, who has just been appointed Patron of Canberra Youth Theatre. She spoke afterwards, introduced by CYT chairperson, Nigel Phair. Both of them must be pleased that their organisation is prepared to put on shows which ask – though not necessarily answer – difficult questions. This practice should be followed by larger and better-financed cultural institutions in Australia’s national capital. Meanwhile, it would be great if the script of the play could get into schools for study and presentation. In Australia, that would help balance some of the material that the Department of Veterans’ Affairs and the Australian War Memorial churn out, which is essentially war propaganda. 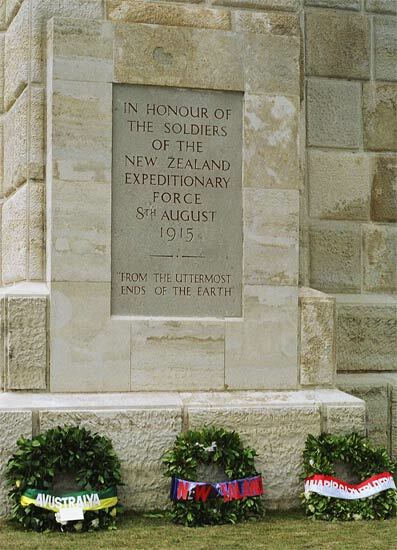 The Kiwis of a century ago came ‘From the Uttermost Ends of the Earth’ to Gallipoli. The young Kiwis in Dead Men’s Wars just came to Canberra and just for a couple of weeks but, with their Australian cast colleagues, they have shown us a thing or two. And no politician on either side of the Tasman tried to make political capital out of calling them ‘Sons of Anzacs’.